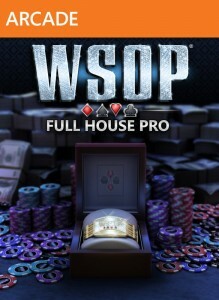 World Series of Poker: Full House Pro lets players build their bankrolls as they compete against opponents from around the world. Feature include: flashy avatar accessories, amazing chip tricks, and real-world casinos. Buy a round of drinks for the table after winning a Showdown during a Multiplayer game. Customize your avatar while sitting at a table. Timidly check at least twice before winning a Showdown. Preset every action, and sit out at least once. Aggressively bet your pocket aces on any round and win the Showdown. Is World Series Of Poker good??? In Night at the Museum: Battle of the Smithsonian, players assume the role of Ben Stiller's character, Larry Daley, former night guard of New York's Museum of Natural History. Larry must rescue Jedediah and his other friends from Akhmenrah's brother who captured them while stealing a powerful Magic Tablet that can raise the Army of Horus to take ov..